This fan took to a Star Wars: The Old Republic questionnaire with a mission: rant about publisher EA's digital rights management policy. 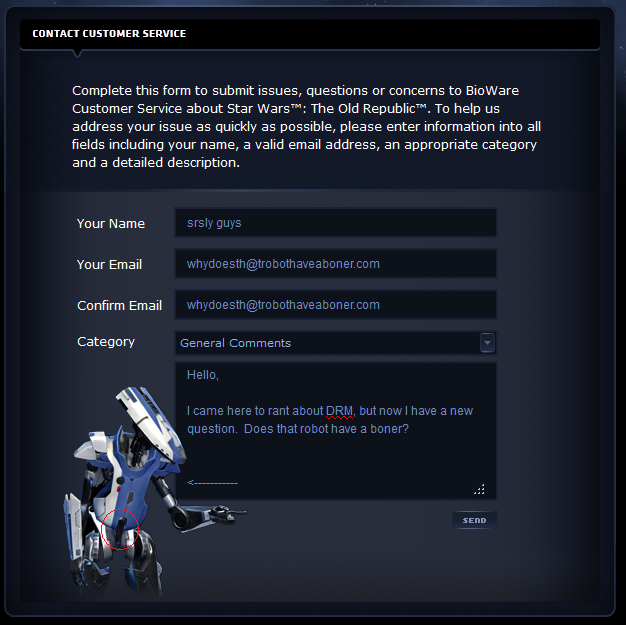 One look at the company's friendly customer service droid, though, and rants give way to...questions. 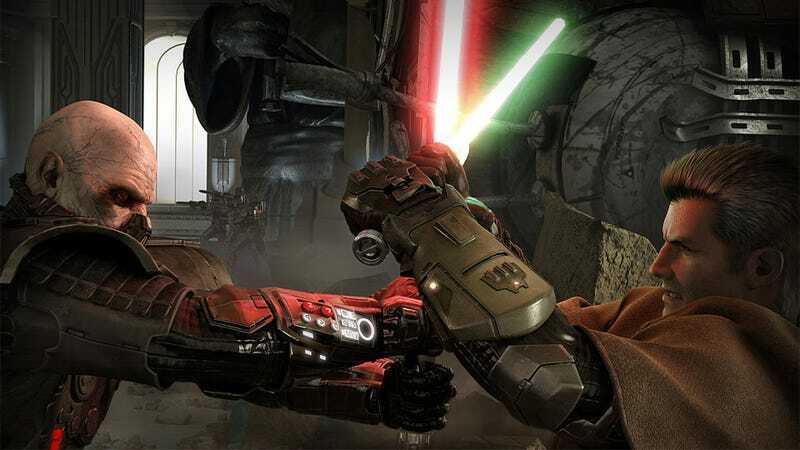 Star Wars: The Old Republic will be out on PC next month.